Instagram is growing fast, with over 1 billion users—500 of whom are active every single day. But figuring out how to grow your followers and get discovered by more people can be tough. Here’s a list of 3 Instagram growth hacking tips to help kickstart your Instagram success. We’ll let you in on a little secret: Animoto Product Manager Tori Ugarte’s adorable pup Rei is big on Instagram. I sat down with Tori to find out how she grew Rei’s following and she shared an easy 3-step Instagram growth hacking process. Read on to learn more. What is growth hacking on Instagram? Before we get to the tips, let’s just explain what we mean by Instagram growth hacking. Growth hacking, defined by Wikipedia, is "a process of rapid experimentation across marketing funnel, product development, sales segments, and other areas of the business to identify the most efficient ways to grow a business." 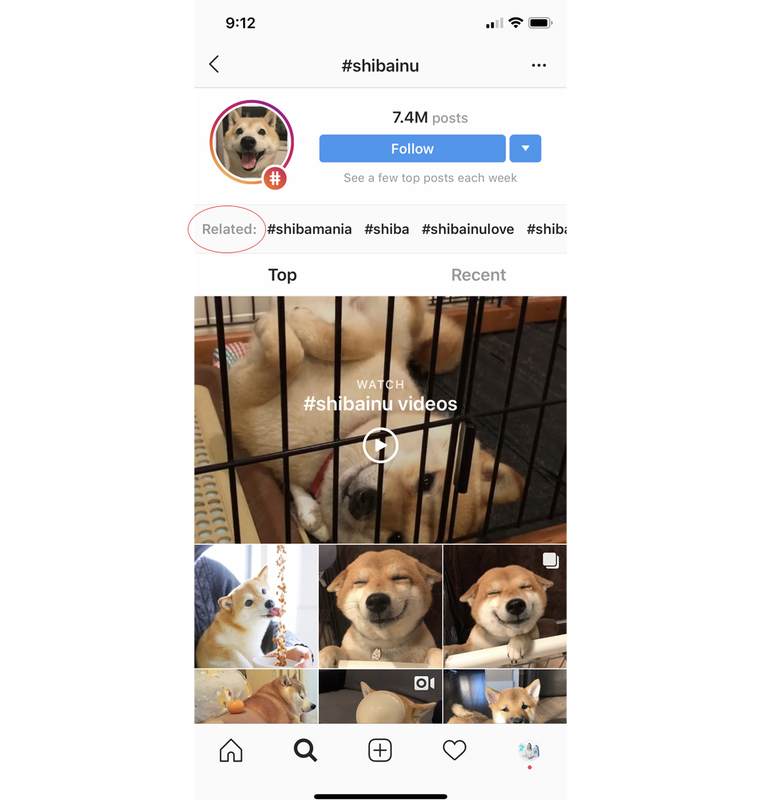 Translated for Instagram, it refers to the process of experimenting with anything and everything on Instagram, from content to hashtag usage and more, to find out works best for quickly growing your follower base and getting more likes and engagement. Before you start experimenting with Instagram growth hacking, Tori says it’s important to make sure your Instagram account has a strong voice. You want to stand out from accounts that are similar to yours. Understand who you are, what you’re trying to say with your content, and what sets you apart from the crowd. Take Tori’s pup Rei, for instance. 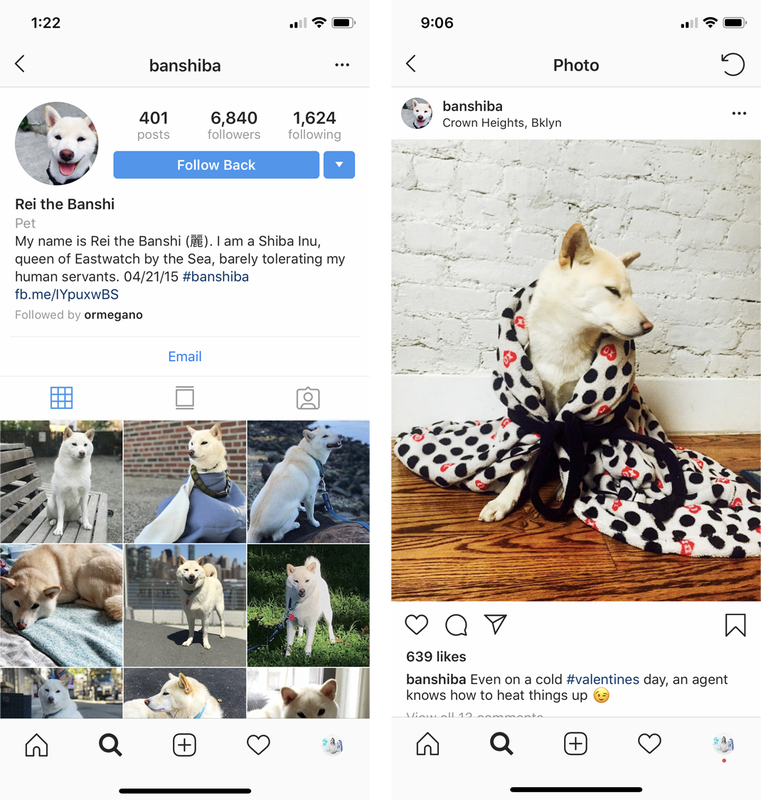 Rei is a Shiba Inu and there are a ton of Shiba Inus on Instagram. Her voice and character are what differentiate her—a Shiba cell agent that refers to her owners as "human servants" and her puppy adventures as "missions." And this doesn’t just apply to dogs. Here’s an example you’re probably familiar with: Marie Kondo is an organizing consultant that has differentiated herself through a focus on sparking joy. What’s your differentiator? Once you’ve found your voice and know what sets you apart from the crowd, it’s time to get your growth hack on. Tori has broken things down into 3 steps to make it easy for you to get started. Tori recommends kicking things off with hashtag testing. Hashtags are the best way to get your Instagram posts seen by an audience that isn’t already following you. But there are a huge number of hashtags out there and you’ll need to do some experimentation to determine which work best for you. 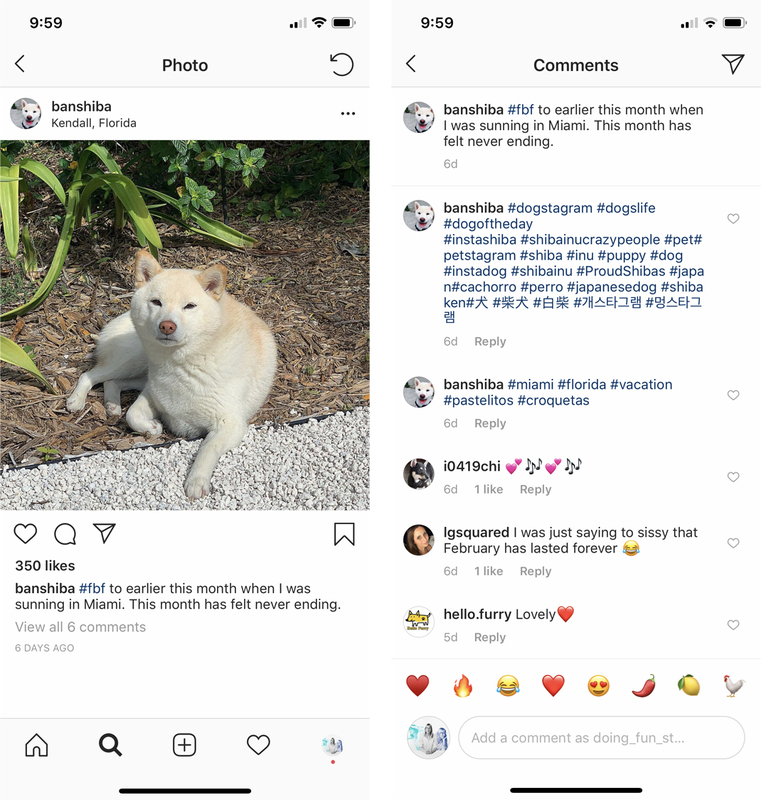 See where you’re featured in Top posts: Tori suggests clicking through on each hashtag to see whether or not your post is featured under "Top." Interact with others: When you interact with others who are posting and commenting on a specific hashtag, you can get a sense of how engaged that community is. Over time, you’ll learn which hashtags have communities that’ll reliably like your posts. You can also experiment with how you post your hashtags. In your own Instagram feed, you’ve probably noticed that different people share hashtags in different ways. Some people include them in the main description of their post, while others include them in the comments. Tori says that what’s worked for Rei is posting the key hashtag in the description but leaving a follow up comment with other hashtags. But there’s no magic formula, so you should try out different things and see what works best for you and the audience you’re trying to reach. Not sure what hashtags to post? The first step is to simply start typing in words related to the content you’re posting and see what comes up. Hashtags will autofill as you begin typing and you can see the volume of posts using the hashtag to get a sense of how popular they are. Look to accounts you admire. Look at successful accounts in your niche that you admire and that have a similar tone or voice to your own. What hashtags are they using? Look at Top posts on the hashtags you’re using now. See what other hashtags they’re using that you haven’t discovered yet and try using those in your posts. Explore recommended hashtags. When tapping through to a specific hashtag page, you’ll notice recommended related hashtags at the top. These can be a great source of inspiration. You can post up to 30 hashtags on Instagram, and Tori recommends never posting without a hashtag. However, she suggests using no more than 10 hashtags per post or it can start to feel spammy. Once you’ve started to get a sense of what hashtags work best for you, it’s time to move on to the next step—experimenting with your posting frequency, as well as figuring out the best time of day to post. When you put a little effort into figuring out what cadence and timing works for you, it’s amazing what a difference you’ll see in the likes and engagement each post receives. 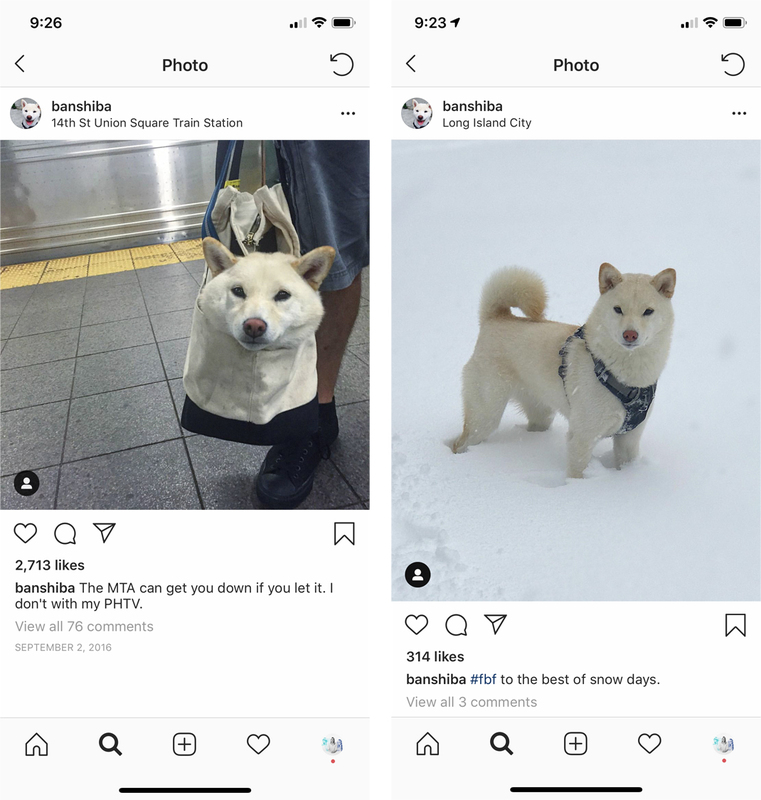 Some Instagrammers post multiple times a day in order to reach audiences during the morning commute in different time zones. But unless you’ve got a wealth of quality content to post, it may be difficult for you to post this often. You want to find the balance of posting often enough to engage your audience regularly, but not so often that your content gets stale. Tori says that she posts to Rei’s account twice a day—early, early morning or late at night in the United States, because these times work well for the Korean audience, where Rei is popular. If you’ve got an Instagram business account, you can see insights about the time of day your audience is interacting most. You’ve figured out what hashtags to use, when you should be posting, and how often to reach the widest audience. Last but not least, it’s time to test and iterate on your content. If you can share more of the content that’s resonating with people most, you’ll get the best results! Tori has found that pictures of Rei curled up in a ball looking at the camera looking sad or looking straight at the camera in nature work best. Audiences similar to Rei’s followers love snow and dogs in bags, too. When Rei’s looking away from the camera, she gets less likes and engagement. Having this understanding informs the strategy for the types of content Tori posts. 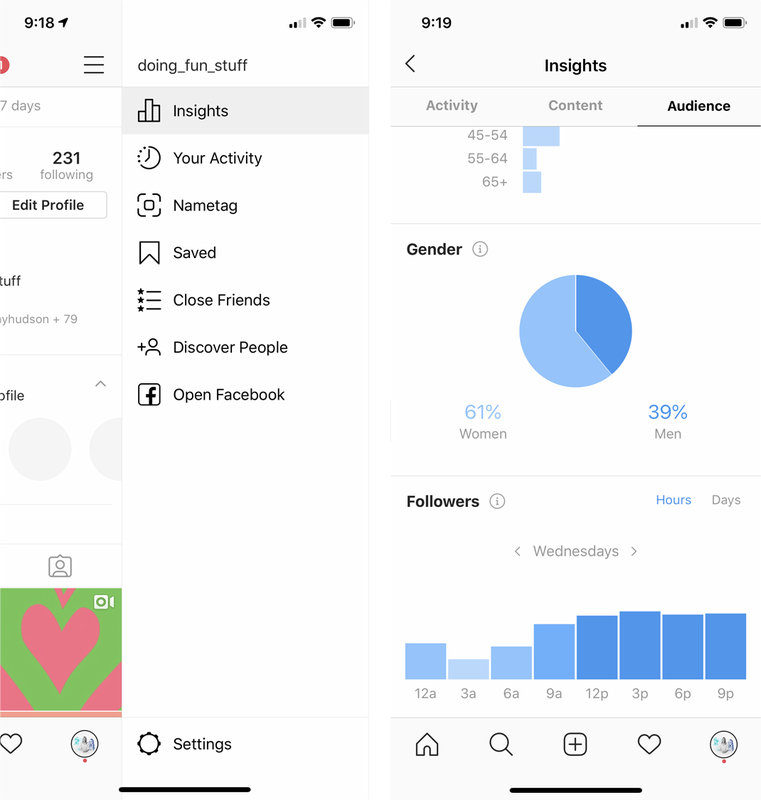 In Instagram Insights, you can sort your content in a number of ways, including by Likes and Engagement over specific periods of time. Explore your top performing posts and jot down some notes about what they have in common. Then, experiment with similar content and see how it performs for you. Outside of these three steps, there are a few other things you can try to growth hack your Instagram account. One is to associate yourself with other popular accounts in your niche. Tori says, if you can get talked about by someone big, that’s an added benefit. But even if they aren’t talking about you directly, you can get further reach by tagging popular accounts in your posts. You’ll show up for people browsing posts these popular accounts are tagged in. And last but not least, try experimenting with video! 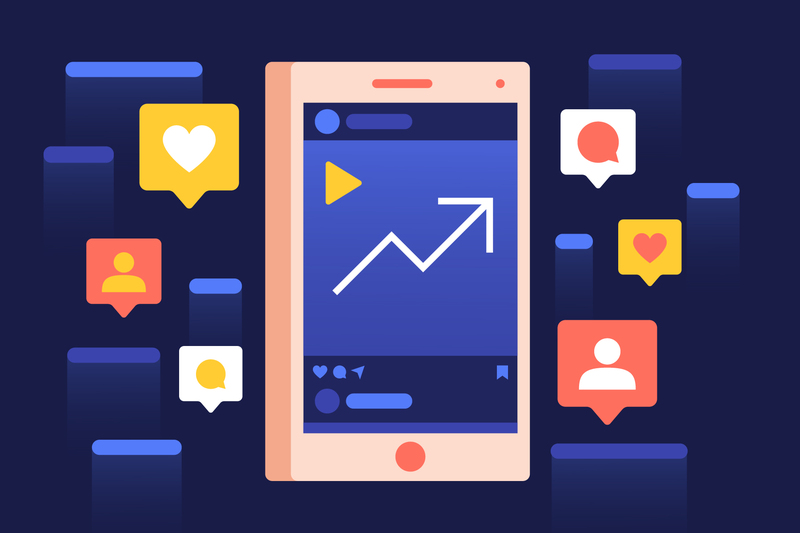 Social media monitoring tool Mention recently released a report that revealed that video gets 2X more comments than other types of posts on Instagram. Video is a great tool for standing out in the Instagram feed and driving engagement. To learn more, check out our complete guide to Instagram video. Have you tried any growth hacking on your Instagram account? We’d love to hear from you! What’s worked for you? What hasn’t been as effective? Share your experience with us in the comments below.